A Monday game at 15 o’clock can not be described as spectator-friendly. On Monday, however, in the Luigi Ferraris Stadium of Genoa, in the middle of the afternoon, a league match kicked off. After the riots in December in the game between Inter Milan and Napoli, the executive decided against an evening game and thus the first round game was brought forward to 15 clock. This caused especially in the fan camp of the two teams for much criticism. For the return leg Genoa meets AC Milan! For the hosts from Liguria the first half of the season was largely disappointing, after all, the lead on the first relegation place with seven points is relatively comfortable. The guests from the fashion city of Milan are within striking distance of the Champions League places, but the fans in the camp of Rossoneri should not be really satisfied. Especially the offensive has not messed with fame in the current season. The visitors are a clear favorite for the bookies, but in the game between Genoa and AC Milan, the tip is too risky despite decent odds on the away win. Former Italian coach Cesare Prandelli has been head coach since 7 December at CFC Genoa, Italy’s oldest professional club. Prandelli is already the third (!) Coach of the Ligurians this season. Davide Ballardini had to vacate his chair in early October, Ivan Juric coached Genoa then only eight games before his term ended again. The coach chair at Genoa is like a sling chair, because claim and reality in the club far apart. The start of the season was completely satisfactory with four wins from the first six league games, but not much has gone on since then. Since the 2-1 away win against Frosinone Calcio on September 30, only one match has been won (against Atalanta Bergamo on December 22). Out of 13 league games, only a single game was victorious. Slowly but surely Genoa was pushed further and further. Shooting star Krzystof Piatek (13 goals) has also got a bit of sand into his gear after his great start to the season. In addition, the life insurance of the Prandelli Elf on Monday afternoon will not be in use. The Polish international is yellow-locked. Piatek is indeed the only failure, but one that can hardly be compensated. After all, he has scored more than half of all the season’s goals for Genoa (13 out of 25). Many hits are not expected accordingly. In addition, Genoa lacks the competition rhythm, as the home game against Milan will be the first competitive match in 2019. In the Coppa Italia there was the blamable off in the fall against Virtus Entella. Before the turn of the year Genoa remained without Cagliari Calcio (0: 1) and the Fiorentina (0: 0) without their own goal, but could stabilize the defensive significantly. Given these statistics and the Piatek lock between Genoa and AC Milan, the prediction falls to below 2.5 (1.72). 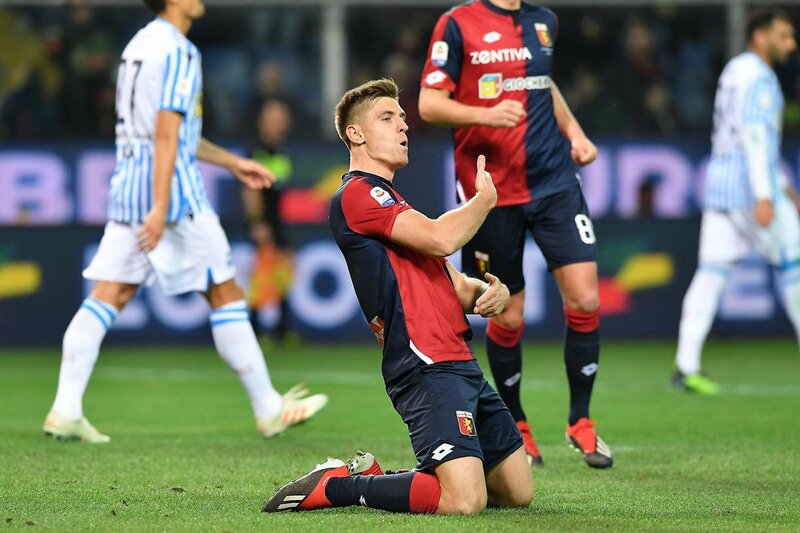 Speaking of Kryzystof Piatek, the young Pole may never be able to play for FC Genoa, as this week saw a meeting between the two clubs to discuss the 13-fold goal scorer. Nearly 45 million euros Genoa for the Polish demand, which could take the place of Gonzalo Higuain in the Rossoneri. The Argentinean international looks back on a relatively disappointing first half at Milan. Higuain is the top scorer, but six goals this season are too little for those responsible. The loan of Juventus Turin should be terminated early, Chelsea is considered as a likely candidate for a Higuain commitment. 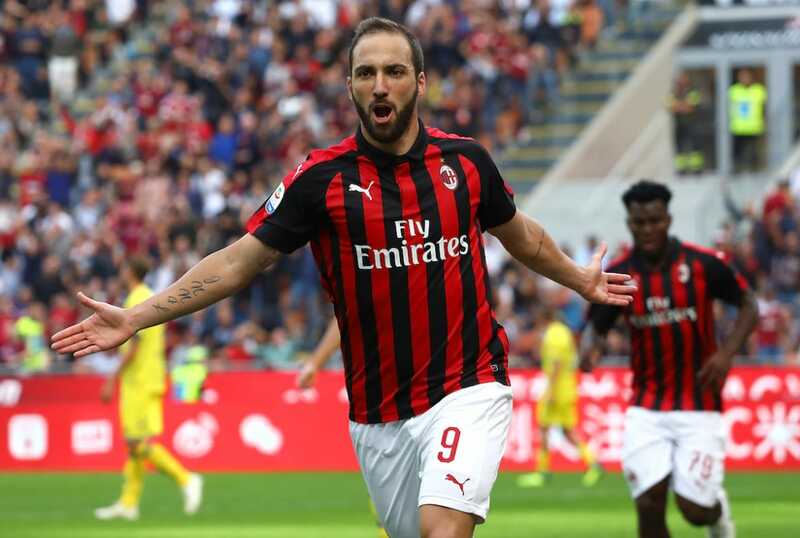 Unlike Piatek, Higuain will probably still be on the field on Monday. Milan can not afford to leave out a world-class player like Higuain in the current state. With 26 goals scored, the Rossoneri have the weakest offensive of the top eight in Italy. In the meantime, the Gattuso-Elf remained four league games in a row without own hits – for the first time in over 30 years. Head coach Gennaro Gattuso was already counted, but so far he could still hold in office. Before the brief winter break, Milan celebrated a lucky 2-1 home win against SPAL Ferrara. In 2019, youngster Patrick Cutrone was the acclaimed player in Coppa Italia. After 90 goalless minutes, the self-made player was successful in extra time with a double and paved the way to the quarter-finals. During the week, Saudi Arabia hosted the Supercoppa final against Juventus. The 0-1 defeat was manageable. Far more problems are caused by the fact that Franck Kessie was sent off the pitch and captain Alessio Romagnoli and full-back Davide Calabria have a yellow card suspension, which is also valid in the league, have traded. With that Gattuso has to give up three important players due to suspension. In addition, top scorer Suso (four goals, eight assists) was recently struck, but could train again this week and will return to Genoa in the squad. Especially in the offensive game was often Suso the one who caused the surprising moments. Nevertheless, many goals are not to be expected. Seven of the Rossoneri’s nine away games ended in under 2.5 this season! A maximum of two goals have been scored in six of Milan’s last seven games. For the under 2.5 between Genoa and Milan, the odds for the tip are too high for us! Due to the tragic bridge accident in the summer of 2018, the game of the first match had to be postponed. At the end of October the match could be made up and the drama of the game in the San Siro Stadium was hard to beat. The focus was on Milan captain Alessio Romagnoli. After the early opening goal by Suso made the defensive boss of Rossoneri in the 56th minute first own goal before he succeeded in the 91st minute of the acclaimed winning goal. Romagnoli’s last-minute goal meant that the fourth under 2.5 in a row between these two teams was just gossamer! The supporters of CFC Genoa have already announced that they want to strike the game on Monday. Many seats will certainly be empty on a regular working day at 3 pm and the Luigi Ferrari Stadium, which is usually half full anyway, will be able to welcome far fewer spectators on Monday. In addition to the kick-off time, the home side’s efforts are not conducive to winning fans. The home side celebrated only one win in 13 league games. A win against the Rossoneri would certainly be surprising, the odds of 3.50 on the home win are far too low set accordingly. Genoa won only one of their last 13 league games! In the first leg, a last-minute goal from Romagnoli made for the lucky home win of the Rossoneri! In seven away matches of the Rossoneri the bets on the under 2,5 were correct! However, Milan have also struggled in the attacking game this season and only won two out of nine away games. Accordingly, in the game between Genoa and AC Milan our prediction is not aimed at the three-way market, but that we do not expect many goals. Under Prandelli Genoa acts on the defensive much more stable, offensive, the lack of Piatek (barrier) can not be compensated. The Rossoneri itself has been able to score far too few goals despite the high quality. In seven of the nine away games of Milan a maximum of two hits were marked. Genoa with a stronger defense and no top scorer against a team in which fell in six of the last seven competitive games a maximum of two goals. The key data between Genoa and AC Milan speak for the betting tip on the under 2.5. The odds of 1.72 are played with six units!